Bond 25 Eyes Helena Bonham Carter as Villain | Nerd Much? James Bond and Harry Potter look as though the British duo may have something new in common soon. 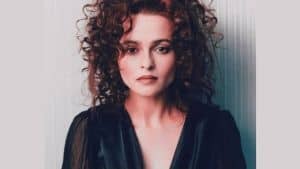 Latest reports from the production of Bond 25 state that Helena Bonham Carter, the twisted Bellatrix ­Lestrange from the later Harry Potter films, is being sought by the Bond 25 producers to take on the role of the franchise’s next villain. Jolie would no doubt do a great job as Bond’s next adversary, and her name alone certainly carries levity. But anyone that watched Helena Bonham Carter act as Lord Voldemort’s most trusted Death Eater knows that the actress can transform herself and steal any scene that she’s in. It’s unknown at this point what part it is that Bonham Carter and Jolie are being courted for. Bond 25 will see Daniel Craig reprise the character of James Bond for the 5th time. He first took the mantle in the Martin Campbell directed Casino Royale in 2006. Marc Forster directed 2008’s Quantum of Solace. Sam Mendes then helmed 2012’s Skyfall and 2015’s Spectre. Bond 25 will be Danny Boyle’s first take on the Bond franchise. He has co-written the film’s script alongside John Hodge. Production on the next Bond film official began in December 2018 and will likely head towards cameras sometime in the next few months. All of the current Bond films have been generally well received, so hopefully Boyle’s attempt will continue the trend. The movie is slated to hit theaters on November 8th, 2019.